It was somewhat confusing to Mr. JD to figure out whether he had parkinsonism or Parkinson’s. As he was reading various online resources, the two terms seemed synonymous at some places and different at others. To relieve his uncertainty, he decided to ask his neurologist the next time he saw him for a follow up appointment. Sometimes patients and their caregivers may find it difficult to completely understand the difference between parkinsonism and Parkinson’s disease. 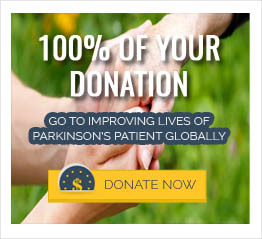 It is necessary to differentiate some of the causes of parkinsonism from Parkinson’s disease because of the difference in prognosis as well as response to treatment.Parkinsonism is a non-specific term that is characterized by tremor, slowness of movements, rigidity or stiffness, and postural instability or balance problems. According to some experts, at least two of these clinical features should be present to consider a diagnosis of Parkinsonism. A variety of conditions may result in parkinsonism and the causes of parkinsonism can be classified as primary or idiopathic, secondary or symptomatic, parkinson plus syndromes, and hereditary neurodegenerative diseases.Parkinson’s disease is a type of primary parkinosnism. Parkinson’s disease in contrast to parkinsonism is a distinct clinical and pathological entity that accounts for approximately 80% of cases of parkinsonism. The pathological definition of Parkinson’s disease entails a massive loss of pigmented neurons in the substantia nigra and the presence of Lewy bodies. Symptoms of Parkinson’s disease respond well to levodopa. Overall, every patient diagnosed with Parkinson’s disease is said to have parkinsonism, but the opposite may not necessarily be true.